The spring fever at Peace, Love & Decorating has turned into an obsession with springy pinks! With the beautiful southern flowers that are blooming all around us, we wanted to show you some of our favorite pink paint samplings from a few different paint suppliers. Whether you are just looking for some inspiration or have been wanting a pink make-over, we think this selection will satisfy all your spring pink cravings. These fabulous paint colors would be great for a powder room, guest bedroom, or a walk-in closet, or for the more daring of the home makeovers out there, even a living room or kitchen. This Benjamin Moore paint color is subtle, yet still reminiscent of spring in all its flowery brilliance. Perfect on the wall, or maybe even better as a fruity cocktail, we love the peachy and lighter undertones of this relaxing pink. This selection of pinks from Valspar includes the Flower Girl color, a very bright pink, the Tropical Bloom color, a pink with orange undertones, and the Sunrose color, a pink with red and orange undertones. These three very different pinks all have one thing in common - they remind us of spring! Each one will make a different statement in the home and satisfy those spring pink cravings. 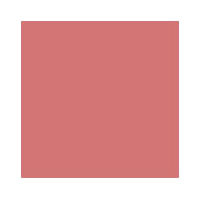 This Porter Cranberry Splash Paint Color is the brightest and boldest of our spring pinks selection. If you really want to dive in and take the pink plunge, we think this color is the most fabulous of the selections. Transform any dreary room into a bright and cheery space with the Cranberry Splash paint color. If you're looking for a pink fix that is a little more temporary, try these Essie Nail Polish colors that we absolutely adore! You can get all the spring pink color without all of the commitment. Check out our website (peaceloveanddecorating.com) for some perfect accessories and furniture to match your newly painted room ( or nails :) )!